Re-issued on vinyl for the first time since its original 1968 release! Based on an ancient Sumerian poem, MORTON SUBOTNICK’s follow-up to his highly influential milestone “Silver Apples Of The Moon” is no less an adventurous sonic trip on the Buchla synthesizer. Limited edition (500 items) audiophile 180gr LP, especially mastered for vinyl. Born 1933, MORTON SUBOTNICK is a key figure in the progress of electronic music: along with PAULINE OLIVEROS and RAMON SENDER he co-founded the San Francisco Tape Music Center in 1961 and from 1963 on he worked with DON BUCHLA on the development of the early synthesizer “Buchla Series 100”. In 1967 the composer and musician released his debut “Silver Apples Of The Moon”, which proved to be one of the most influential albums and an undoubted milestone in electronic music (which was even selected for the Library Of Congress in 2009). 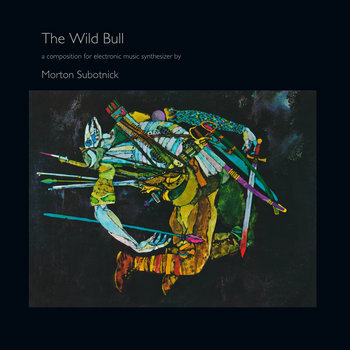 A year laterMORTON SUBOTNICK presented his adventurous follow-up “The Wild Bull”. Loosely based on / inspired by an ancient Sumerian poem of the same name – a lament about loss and death caused by war – the two parts embark on further explorations into the hitherto unimagined creative possibilities of the synthesizer. 46 years after its initial release, “The Wild Bull” has not lost a single bit of its visionary magnitude and is still an adventurous sonic trip, finally available on vinyl again as audiophile 180gr LP that was cautiously remastered for vinyl. Limited to 500 items worldwide!